I think I know what you might be thinking--"A page about spelling? Has this guy gone crackers?" Hey, after 33 years of teaching, aren't I entitled to a little insanity? As you may know by now, the majority of my teaching experience has been at the middle school level. Other than correcting misspelling on written work, I have never assumed the role of an actual spelling teacher. 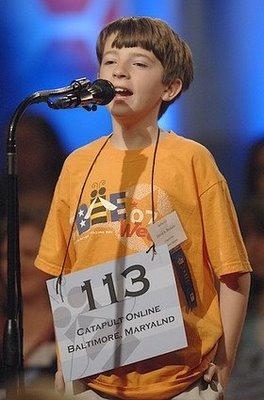 I HAVE, however, been in the position of having to conduct spelling bees several times in order to select representatives from each of my classes to compete in the school-wide spelling bee. The winner of that bee would then represent our school at the district competition, which could eventually lead the winner to the national spelling bee in Washington DC. 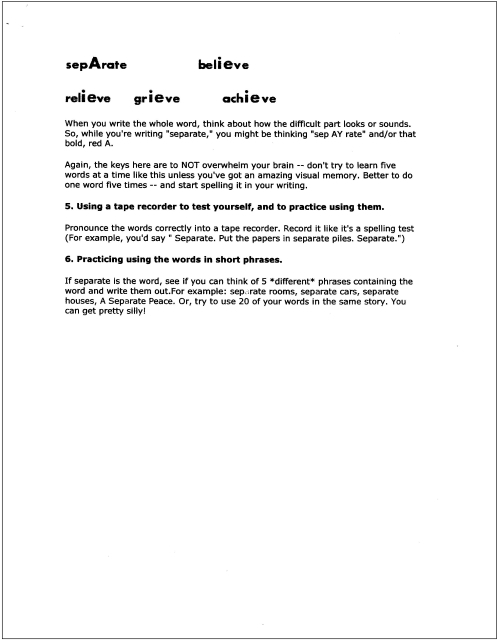 What follows on this page is a set of documents given to me (and the other language arts teachers) by Jennifer Morris, the standards coach during the first three of my years at Twin Lakes Middle School. I don't know where she obtained this document, so I can't give any further attribution. But, what I DO know is that it offers excellent ways for kids to prepare for such a competition. All of these documents are available for download completely free of charge, but first--the Quick Links. I thought it might be useful to show you what each document looks like, so I have included screenshots of them. Because they are a bit difficult to see after having been reduced from the original size, I'm also including the text in its entirety. 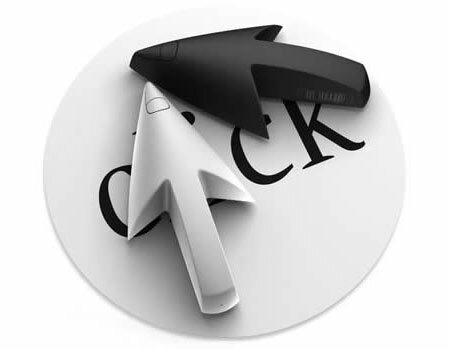 What follows in the next several sections, is the text that appears on the above documents. 1. Practice. Have you ever heard someone say that practice makes perfect? That's only if you're practicing it right. Each time you spell a word incorrectly, you're practicing the wrong spelling. So, if you're not sure how to spell the word find out, THEN practice that spelling. 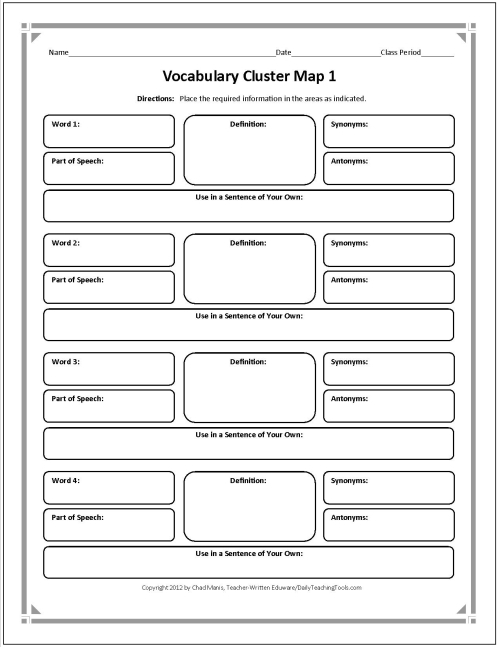 Keep an ongoing notebook of words, so you have your own personal dictionary and you can see your progress. Start small, though. 2. Don't try to learn all the words at once. Even if you learn them all of them in one sitting, practice them a few at a time. Then, add another word to your list, or start on different ones. Each time you learn another word, go back and practice the ones you learned before it, because, after all, practice makes permanent. 3. Review the words you know. If you already know some of the words on your list, practice them each once or twice before you start tackling the ones you don't know yet. 4. Use the words you've practiced. That's the point to learning them anyway. Have a list of words you're learning handy, in a notebook, and you can look them up to make sure your spelling them right. Besides, using them is practicing them, and practice . 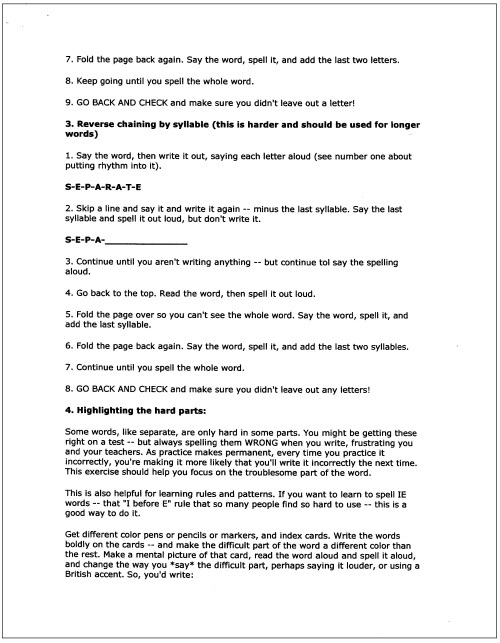 . .
Make a chart like this with three or four spelling words you want to learn (see the first illustration in the second document above). Then, fold over the "recall" part so that only the first two columns show (see the second illustration in the second document above). 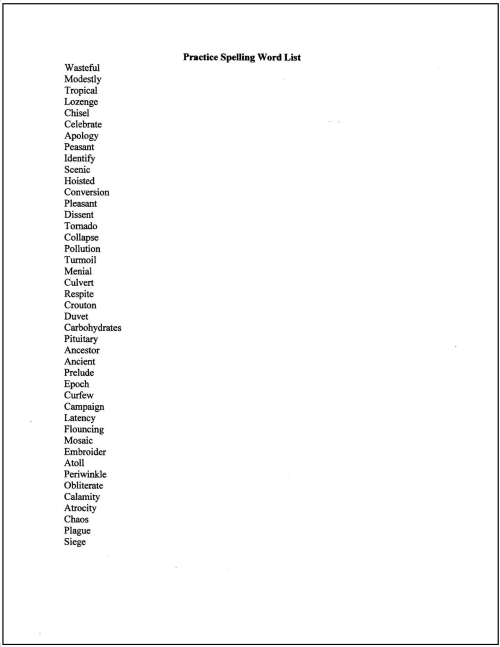 Trace it in the first column, saying the letters as you trace, and say the word again. You might put a little rhythm into it. ("WORD-pause-W-pause-O-pause-RD-WORD!"). Go to the second column, say the word, and write it in the same way. 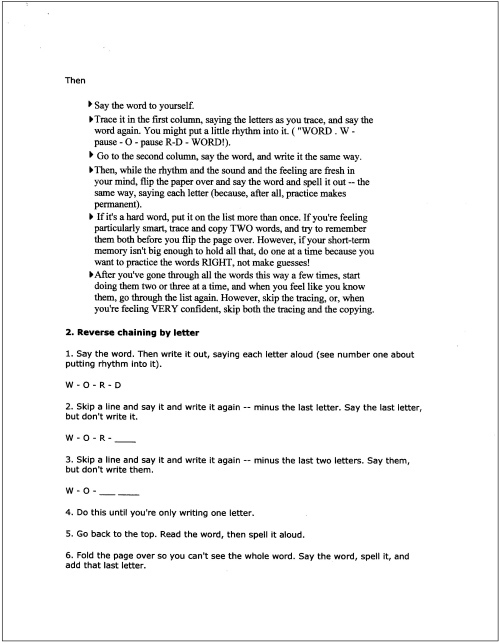 Then, while the rhythm and the sound and feeling are fresh in your mind, flip the paper over and say the word and spell it out--the same way, saying each letter, because, after all, practice makes permanent. If it is a hard word, put it on the list more than once. If you're feeling particularly smart, trace and copy TWO words, and try to remember them both before you flip the page over. However, if your short term memory isn't big enough to hold all that, do one at a time because you want to practice the words RIGHT, not make guesses! After you've gone through all the words this way a few times, start doing them two or three at a time, and when you feel like you know them, go through the list again. However, skip the tracing, or, when you're feeling VERY confident, skip both the tracing and the copying. Do this until you're only writing one letter. Fold the page over and you can't see the whole word. Say the word, spell it, and add that last letter. GO BACK AND CHECK and make sure you didn't leave out a letter! Continue until you aren't writing anything--but continue to say the spelling out loud. GO BACK AND CHECK and make sure you didn't leave out any letters! Some words, like separate, are only hard in some parts. 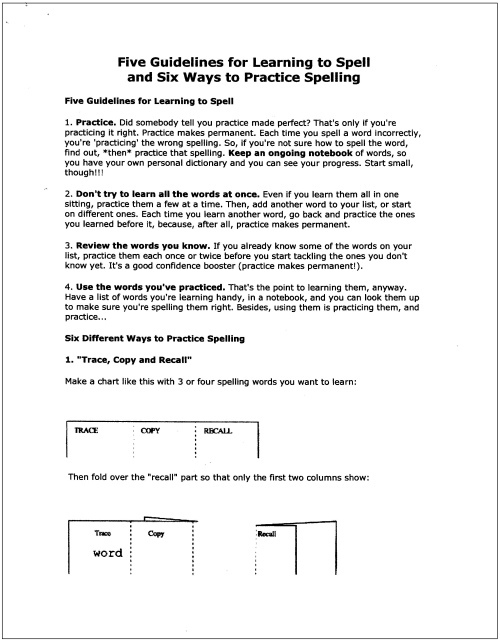 You might be getting these right on a test, but always spelling them wrong when you write, frustrating you and your teachers. As practice makes permanent, every time you practice it incorrectly, you're making it more likely that you'll write it incorrectly the next time. This exercise should help you focus on the troublesome part of the word. This is also helpful for learning rules and patterns. If you want to learn to spell IE words--that "I before E" rule that so many people find so hard to use, for example, this is a good way to do it. Get different color pens or pencils or markers, and index cards. Write the words boldly on the cards and make the difficult part of the world a different color than the rest. Make a mental picture of that card, read the word out loud, and spell it out loud and change the way you SAY the difficult part, perhaps by saying it louder for example. So, you would write . . . When you write the whole word, think about how the difficult part looks or sounds. So, while you're writing "separate," you might be thinking "sep AY rate" and/or that bold, red A. Again, the keys here are to NOT overwhelm your brain--don't try to learn five words at a time like this unless you've got an amazing visual memory. Better to do one word five times, and start spelling it in your writing. Pronounce the words correctly into a recording device or smartphone. Record it like it's a spelling test. For example, you'd say, "Separate. Put the papers in separate piles. Separate." If separate is the word, see if you can think of five DIFFERENT phrases containing the word and write them out. For example: separate rooms, separate cars, separate houses, a separate peace. Or, try to use 20 of your words in the same story. You can get pretty silly and creative! 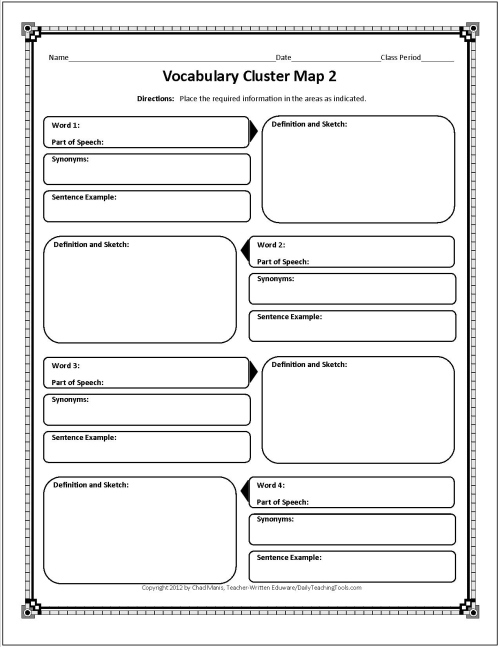 Here are two graphic organizers that I pulled from my 50 STUDYizers Collection that may be useful to your kids as they work on their spelling skills. I will also include these in the PDF package that you will be able to download below. If you would care to download all eight PDF documents as seen above on this page completely free of charge, the package is located here. Take a few seconds to click on my Facebook Like button, or take a minute or two to add a brief comment about one of the Daily Teaching Tools pages that you may have found useful. Or, how about grabbing a mouse pad or tote bag at The TeacherMarket? If you really want to go crazy, purchase one of my software products! I have to confess that I almost didn't put this page up on Daily Teaching Tools. But, I knew that it was another free resource that I could make available to you. 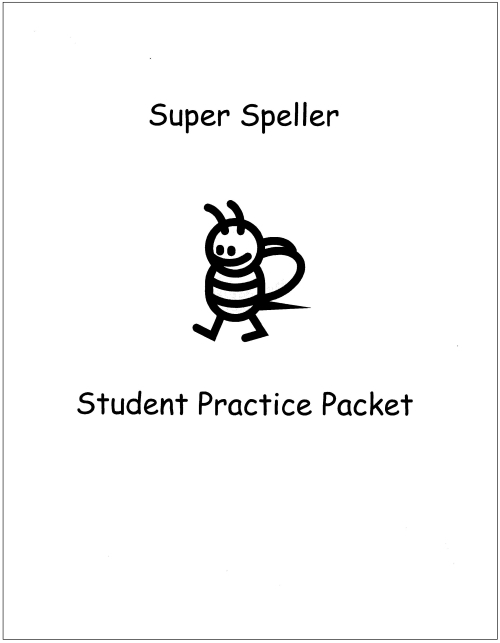 I also figured it might very well come in handy for your students, particularly the ones who are preparing for spelling bee competitions. Looking over the resources I've accumulated over the course of my career, I've chosen a topic to work on next that I think you will be particularly interested in. This is something every administrator on the planet wants to see happening effectively in your classroom. It will probably take me a week to 10 days to prepare this next page. Wait until you see what it is . . . In the meantime, happy spelling!